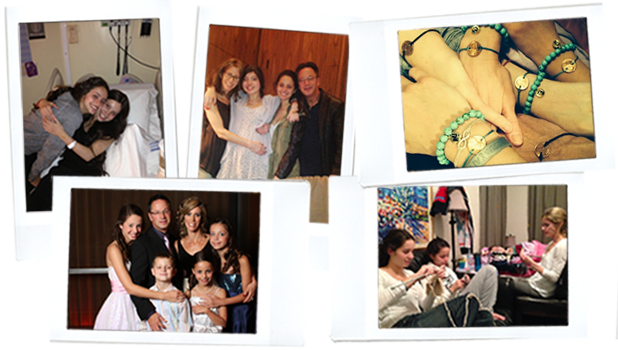 On November 25th 2013, the world lost Olivia Wise – a beautiful, loving, and talented 16 year-old girl from Toronto – to brain cancer. Things first began to change for Olivia and the Wise’s while they were enjoying a family vacation together in Los Cabos in December 2011. Olivia had a grand mal seizure in her sleep. This gave Olivia’s parents the fear of their lives as they didn’t know what this traumatic experience could mean for their daughter’s future. On January 15th 2012, Olivia had her second seizure in her sleep. This time, she ended up in the emergency room at Sick Kids Hospital. After a CT scan and an MRI that night and a brain biopsy the following morning, Olivia’s parents received the devastating news no parent ever wants to face; their daughter had a very rare and inoperable brain tumor. It was unimaginable to the entire family. The doctors at Sick Kids quickly came up with a treatment plan that filled the family with hope. But in reality, their baby’s chance of survival was scarce. When Olivia had every reason to get angry and sad, she attacked the horrible news with courage, strength, and hope. She stood proud and fought to beat the cancer, so she could do all the things she dreamed of becoming a pediatrician, getting married, having kids and raising a family. Olivia spent the next two years as normally as she could given her circumstances. Surrounded by her sensational friends and supportive family, she lived every day with a positive attitude that drove her to sing for her friends at school and, in true Liv fashion, make everyone she spent time with feel as special as they made her feel during such a dark time.